Baraa Shiban is a Yemeni human rights activist. Mohammed Alyahya is a Saudi political analyst. Mahdi Darius Nazemroaya is a research associate at the Center for Research on Globalization. 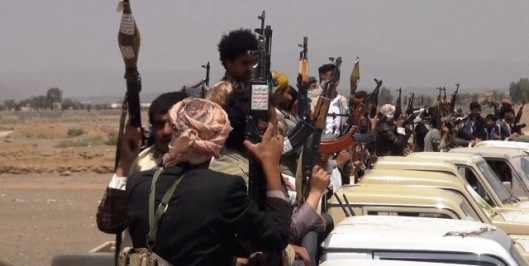 For months, Saudi Arabia has been leading a bombing campaign against Houthis in Yemen. Now foreign ground troops are joining the fight. Why is Yemen so important to Saudi Arabia? Is this simply a proxy war involving Iran (Saudi Arabia’s regional rival)? And if it deteriorates further, how might the conflict affect the rest of the world? A regional struggle may be about to escalate. Saudi Arabia has 150,000 troops on its southern border with Yemen. A Saudi-led coalition is committing more military resources. This month, the United Arab Emirates sent in a military brigade to join the fight on the ground. Is Saudi Arabia’s Assault on Yemen Just About Curtailing Iran’s influence? ← Syria: Terrorist siege of Kafarya and Foua.